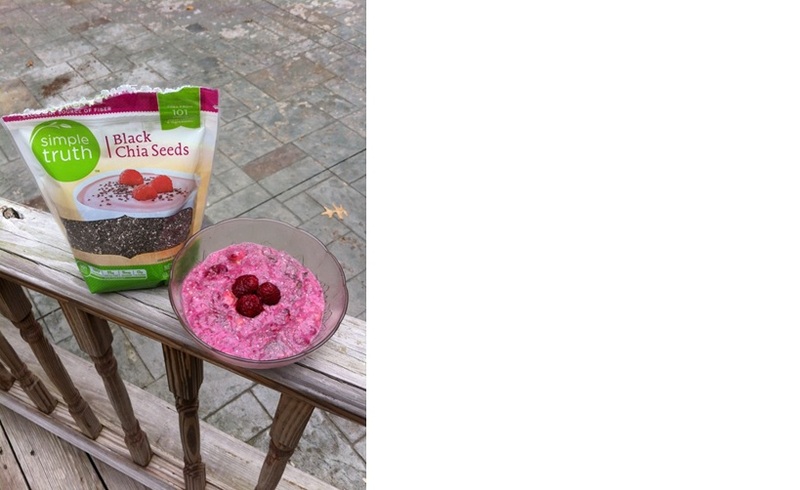 October 2, 2013 October 2, 2013 k3fit1 Comment on Wacky Wednesday – Chia Chia! Wacky Wednesday – Chia Chia! I am here to solve the mystery of the chia seed! I love these little things and have been incorporating them into my meals and snacks for a few years. They have been around for thousands of years in fact they were a staple of the Mayan and Aztec cultures and the Mayan warriors would bring them along on conquests for energy. Chia means strength in Mayan. Today Chia is being embraced as a super food. * Chia seeds are a great source of plant based calcium, at more than 5x the amount of calcium that dairy milk contains. * Rich in Iron ,zinc , phosphorus and magnesium. * Chia seeds promote hydration, they can absorb more than 12x their weight in liquid, their ability to hold onto water can prolong hydration in your body so you can utilize body fluids better and maintain an electrolyte balance. The long distance running community has really used chia seeds to benefit them on long runs that are very taxing on the body. * Chia seeds can be eaten and digested whole unlike flax seeds that your body cannot break down for digestion and must be ground up. * Can be used as an egg re-placer in cooking/baking. I have done this many many times and it boosts the nutrient content of the dish and works great. It forms into a gel much like an egg yolk when placed in water. 1. Place dates in bowl of food processor; purée until thick paste forms. Add cocoa powder, chia seeds, and vanilla and almond extracts, if using. Pulse until all ingredients are combined. Add almonds; pulse until nuts are finely chopped and well distributed through date mixture. 2. Spread large sheet of wax paper on work surface, and dust with oat flour, if using. Transfer date mixture to wax paper, and use paper to press mixture into ½-inch-thick rectangle. Wrap tightly, and chill overnight. Take out and eat! Quick and easy evening snack before bed. You can switch it up with any fruit you like, I like to do banana and cinnamon or maybe a blueberry vanilla. Options are endless. Previous Can you & your family take the 100 push up challenge? Next Take care of yourself Thursday – Skin Addition!